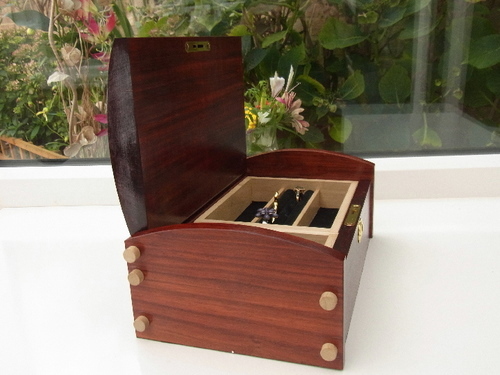 This product from Chess Baron: Beautiful budrose handmade designer luxury hardwood jewellery box. 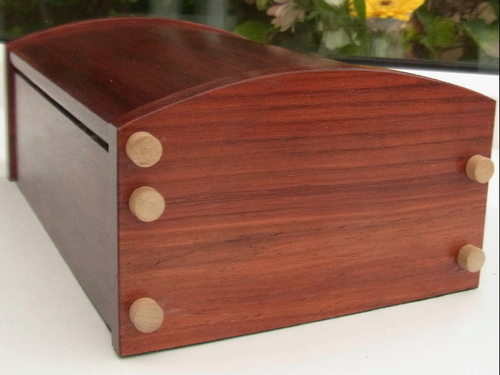 Sustainably sourced (by law). 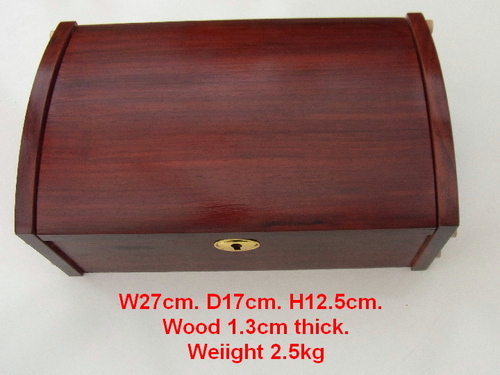 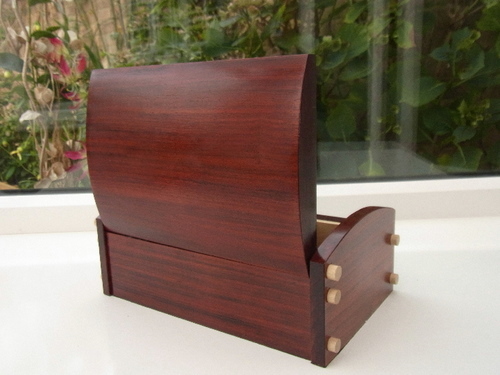 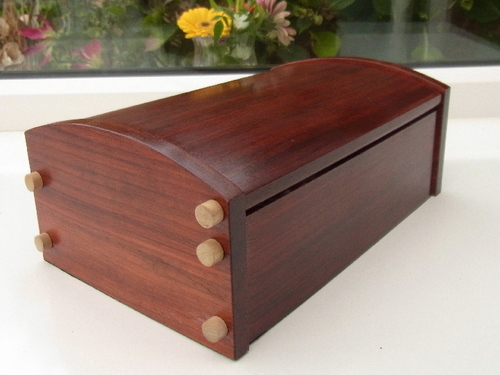 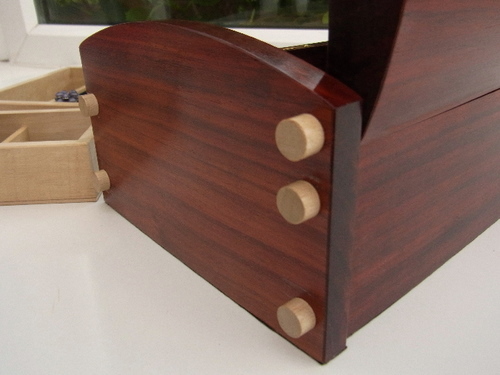 The wood for this jewellery box is the best available in the whole world. 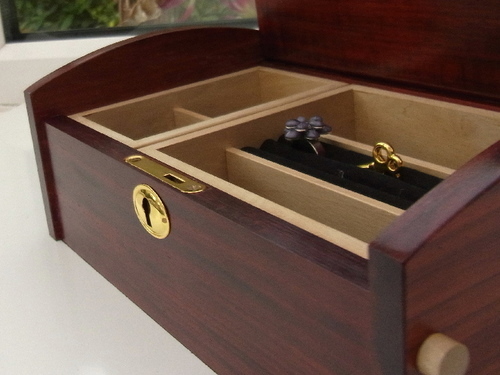 Budrose is also known as redwood and bud rosewood and is controlled at source so that the tree continues a part of our environment. 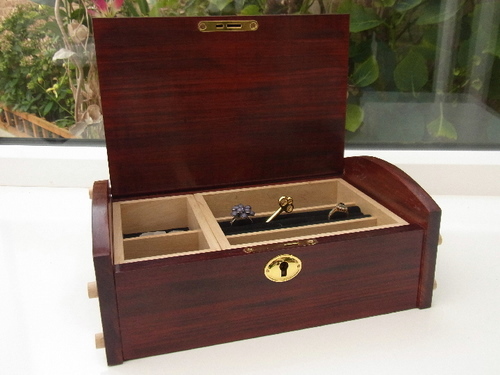 The wood is comprised of the roots of the rosewood tree and is distinctive for a highly polished finish and wonderful red, brown and black shades that makes it appreciated among any set of fine furniture. 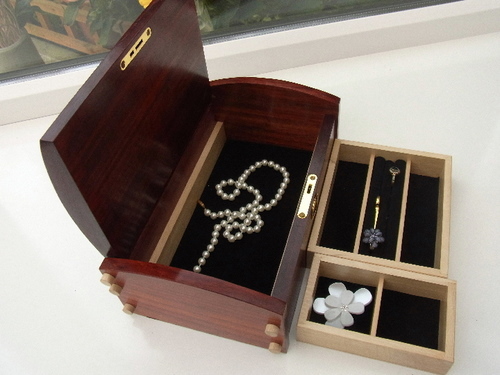 The interior has compartments that are removable and can be re-assembled in a different way. 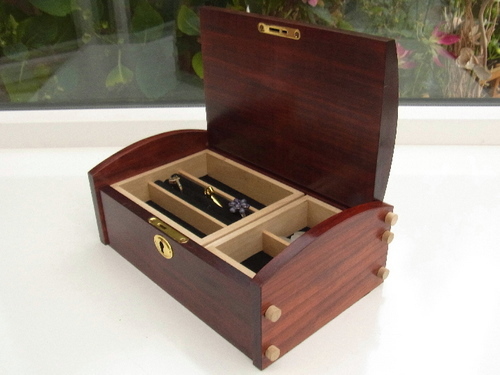 A wonderful handmade wooden luxury product made in the finest of woods available in the world.